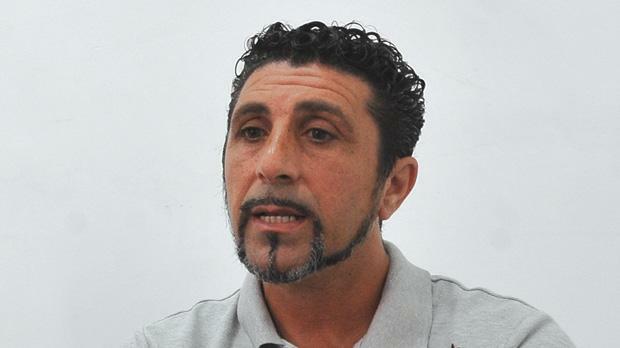 Valletta coach Paul Zammit is striving to strengthen his squad. Valletta have completed the signing of flank defender Romeu Romao. The Brazilian has put pen to paper on a two-year deal after impressing coach Paul Zammit since linking up with Valletta for a trial last month. Zammit had been keen to add a wide defender to his squad following the departure of Malta international Steve Borg who has joined Cypriot club Aris Limassol. The 25-year-old Romao, who had a spell with Hungarian club Vasas SC a few seasons ago, was in Valletta’s starting formation for their 5-0 victory over Tarxien Rainbows in their opening match from the St Andrews Summer Friendship tournament on Wednesday. Valletta take on Division One side Melita in their second match at the Luxol Stadium this evening. The City coach is still looking to sign a striker after parting ways with Thierry Tazemeta last month. Two young American players were expected to arrive in Malta yesterday to start a trial with Valletta. Over the past few weeks, the Whites had intensified their efforts to re-sign Hamza Barry but the Gambian midfielder is believed to be eyeing a move away from Malta. Barry is also a target for Birkirkara. Birkirkara and Malta defender Zach Muscat has been sounded out over the possibility of having a trial with Italian club Pisa but discussions between the two parties are still at an early stage. Hibernians are expected to offer a contract to David Lopes as the Brazilian defender has made a very positive impact since joining the champions for a trial. Lopes, 33, had a short spell with MLS club Los Angeles Galaxy in 2012. Meanwhile, St Andrews have handed a contract to Jordan Williams. Williams, 18, came through the Southampton youth academy but he qualifies to represent Malta as his late grandmother was Maltese. The Saints, under the guidance of coach Wayne Attard, are building their squad around young, promising players ahead of their first Premier League campaign for many years. Malta U-19 midfielder Matthew Guillaumier is expected to stay with St Andrew’s despite strong interest from Italian Lega Pro club Spezia. In Division One, Senglea Athletic have signalled their intent to challenge for promotion after bringing in a host of reinforcements. The new signings include Argentine midfielder Pablo Doffo, formerly of Naxxar Lions, and winger Miguel Ciantar, who was on the books of Sliema Wanderers. Senglea have also taken up the option to make Terence Scerri’s loan switch from Valletta a permanent one. Christian Cassar, the former Floriana midfielder, has also been retained by Senglea who secured promotion from Division Two last season. Meanwhile, the Malta FA yesterday issued the fixtures for the 2015/16 BOV Premier League. August 21: (Hibs Stadium) 18.30 Birkirkara vs Naxxar Lions; 20.30 Sliema Wanderers vs Tarxien Rainbows. (Tedesco Stadium) 18.30 Qormi vs Pembroke Athleta; 20.30 St Andrews vs Valletta. August 22: (National Stadium) 18.30 Floriana vs Mosta; 20.30 Balzan vs Hibernians. Results so far: Valletta vs Tarxien Rainbows 5-0; Senglea Athletic vs Fgura United 3-1; Sliema Wanderers vs St Andrews 1-0.